Please use the form below to order any campaign materials you may wish to read or distribute. 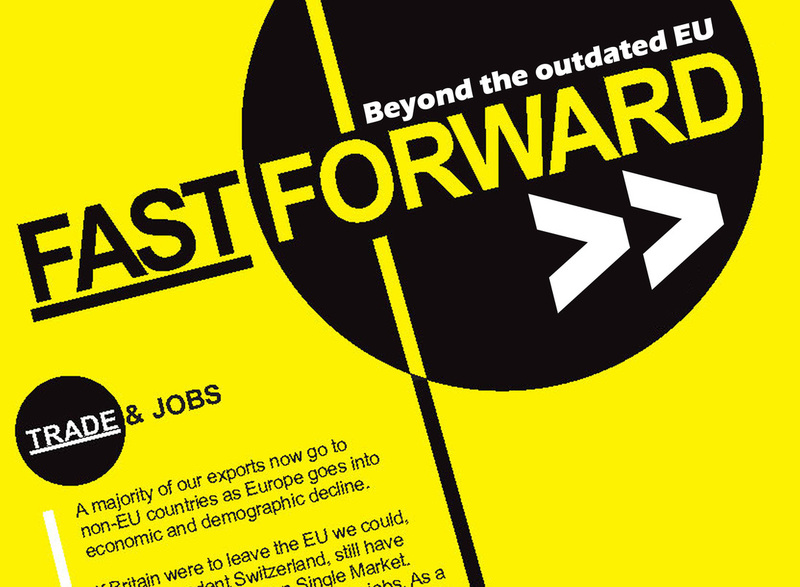 Fast Forward >> Beyond the outdated EU is our current main leaflet for distribution. This striking, three-page A5 leaflet - the first in a Fast Forward >> series - focuses on trade and jobs. It makes the case that for reasons of global change, exports, regulation, influence and future integration, Britain would be better off leaving the EU. For more information about the contents, see Our Case. Join in! Help to win a 'leave' vote in the EU referendum by making sure people hear these arguments for leaving the EU - not just the myths of the pro-EU lobby. This research pamphlet published jointly by the Democracy Movement and business campaigners Global Britain takes aim at pro-EU scaremongers. 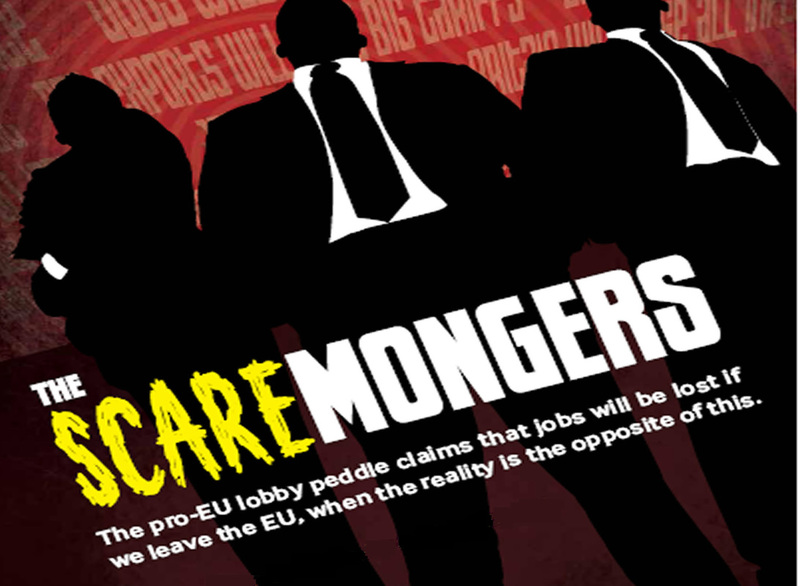 The 31-page, A4-sized study shoots down the EU lobby's myth that 3 million jobs are at risk if Britain leaves the EU and goes on to argue that jobs and influence are in fact genuinely at risk from Britain remaining inside the EU. This powerful exposé of the flaws in the pro-EU case is the start of a new fightback to dismantle the claims of Britain's increasingly active and well-funded EU lobby and make the forward-looking, truly internationalist case for Britain leaving the EU. 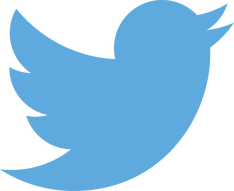 Keep up with the latest campaign news and commentary - as well as re-tweeting our case for leaving the EU - by following us on Twitter.